I’ve decided there are two kinds of people. Those who understand a ride like this and those who do not. . The people who get it don’t ask why, they already understand. The people who don’t get it, no matter what I tell them they will never understand. So this is how I deflect the question. 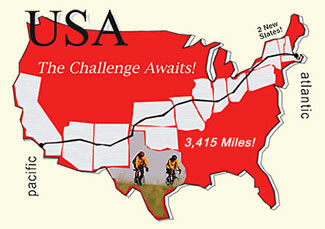 “This ride will give me two more, Wyoming and South Dakota. This pretty much ends the conversation and I can see their wheels spinning. He is a lunatic, I would never want to do something like that but he wants to ride in all 50 states. What is the truth? Is it the adventure, seeing the country and it’s people, incredible fitness, weight loss, accomplishing something really difficult, committing to be immature forever, fighting aging, entertaining my friends, the great friendships you develop? Got me. I don’t know. I wrote the above and then went for a ride. I got to thinking about that great twentieth century American philosopher, Elvis Presley. He said “you need something to do, someone to love and something to look forward to.” Well, I have more than enough to do and many people I love. Something to look forward to. Hmm. Interesting. Tomorrow it begins. 106 miles from Caspar, WY to Lusk WY. High of 96. In July 1865, Lieutenant Caspar Collins was killed by a group of Indian warriors. The town is named after him. The Indians were retaliating for the Sand Creek Massacre. It was an atrocity in the Indian Wars that occurred on November 29, 1864, when a 700-man force of Colorado Territory militia attacked and destroyed a peaceful village of Cheyenne and Arapaho encamped in southeastern Colorado Territory, killing and mutilating an estimated 70–163 Indians, about two-thirds of whom were women and children. Notice how thin I look in this picture. A lifetime of carefully watching what I eat and an iron discipline. Or having just ridden across the country and burning an additional 4000 calories a day. It took 40 minutes to get a cab at the Caspar airport. 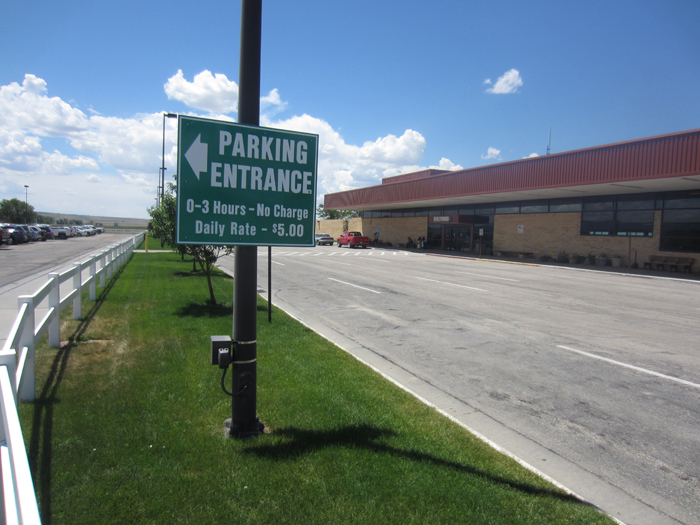 Notice the 3 hours of free parking. A different pace here. I think I get it although I will never do it. I am riding my bike from Log Boom Park to the Snohomish Pie Company tomorrow. There will be a long stop at the Pie Company. I may ride my bike back, maybe not. I will eat an extra piece of pie for you, you need the calories. As trim and fit as ever. If it's too hot to go outside to take pictures, how do you ride 100 miles in that heat?!?! Ride with the big dogs, but stop to smell the roses. Stay safe. Okay, I still say you should have been a writer. You say a lot in a few words and I have no trouble understanding your motivation. Go for it Big Guy I will be reading daily. Al - thanks for including me on your journey. Look forward to following your progress! Should have told you that even if wy is a cowboy state . The baby back ribs are really great. Wow...what a trip. But you've got to tell us more: i.e. in a group? itinerary? etc, etc. Go for it Al. You look terrific, remember to eat! Sent 2014-07-04 from Peter R.
Proud to say that we grew up in the same neighborhood!